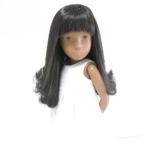 But having just launched my very own website and Facebook page, a lady wrote to me to ask if I was interested in buying her NP Sasha doll, which quite often I do when a Sasha comes along in need of some TLC. 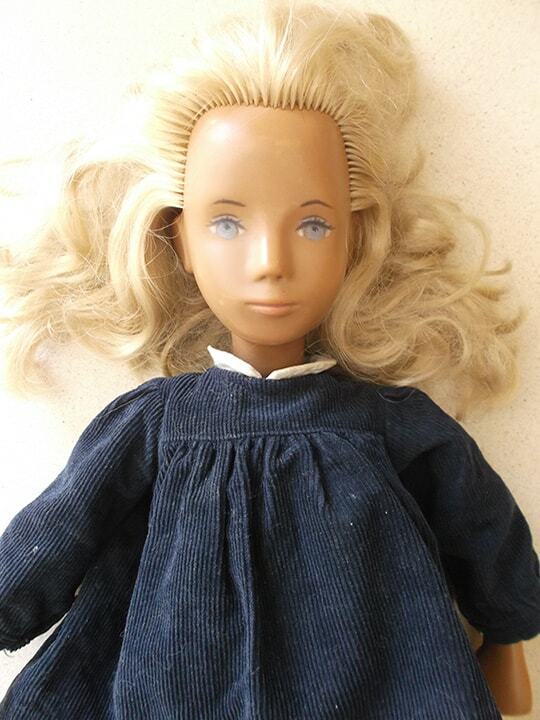 I didn’t think much more about it until a photo was posted over with one stunning 1967 blonde NP Sasha doll. Well I certainly wasn’t expecting that! 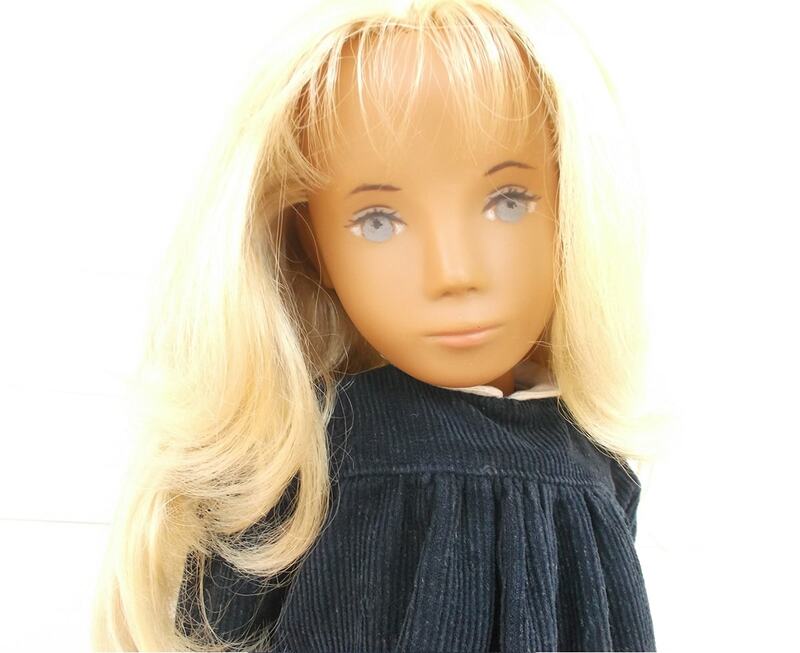 My only concern was that I did not know this lady and having been involved with Sasha’s for many a year, us collectors tend to rely on each other or we have some protection when purchasing a Sasha doll from reputable UK or USA sites such as eBay or Etsy. So I took great caution and tried not to allow my emotions to take over. There was a lovely story attached to sale in that this young Mum of two boys, was given the NP Sasha doll by her mother-in-law so she could fund a holiday for them before they went back to school. Quite rightly, they had garnered enough information on the doll to know she was valuable and after several lovely chit-chats we agreed upon a price and I spent the rest of the afternoon in total disbelief that at long (long) last, I had finally acquired my very own NP Sasha doll! As I have now just moved back to Spain, I was jumping for joy when only a few days later the parcel arrived from the UK. 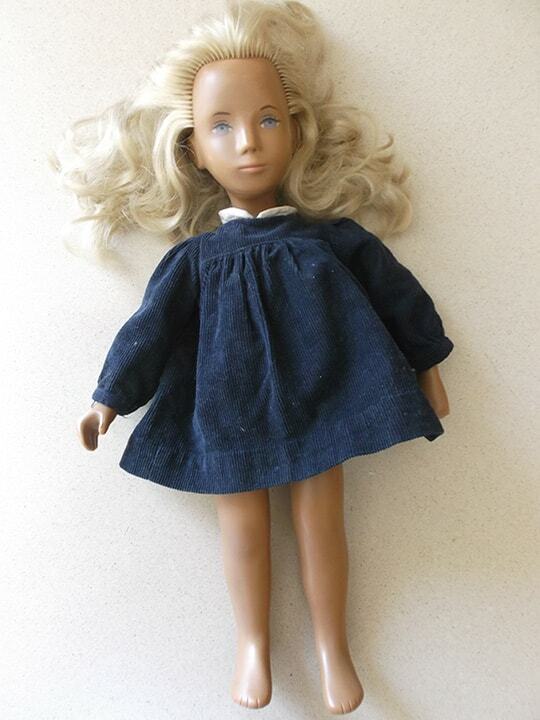 To my utter delight, aside from 40 odd years of being stored in an attic, my new NP Sasha doll had no signs of damage other than some minor play wear and very loose leg cords. So I quickly set about washing away the decades of dirt on this NP Sasha doll before attending to her somewhat matted hair. I thought it would be best to wet the hair and slather on plenty of conditioner to allow me to carefully comb through and find the single fringe and (full) center parting again. Then I gave her two gentle washes, another conditioning treatment before re-assembling her back again with her newly tightened cords. I think what has astounded me the most is that after I gave her my Sasha doll Spa Treatment, is how glorious her hair has come up. 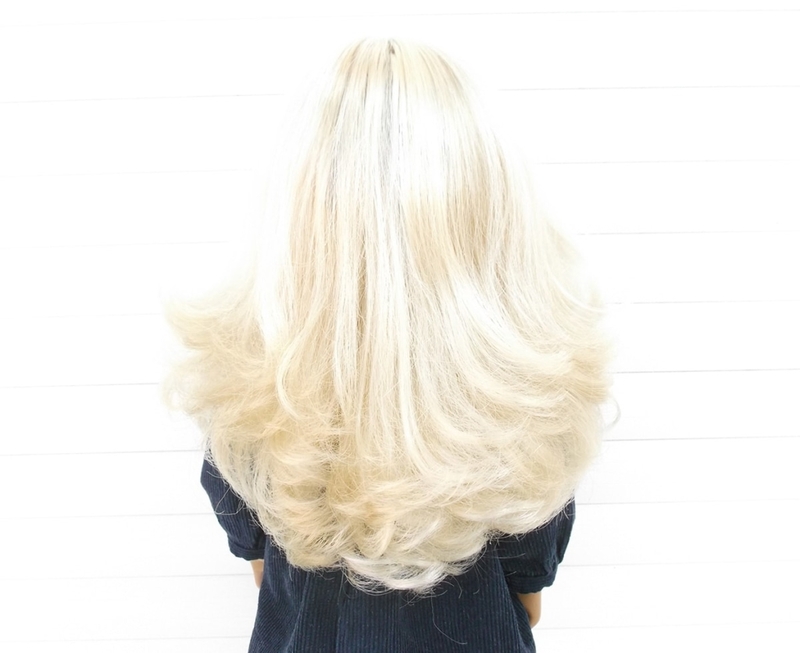 Those factory curls are possibly the best I have ever seen with not the slightest hint of any dryness! Her eye paint is mesmerizing and even her lip colour hasn’t faded, albeit a little rubbed. 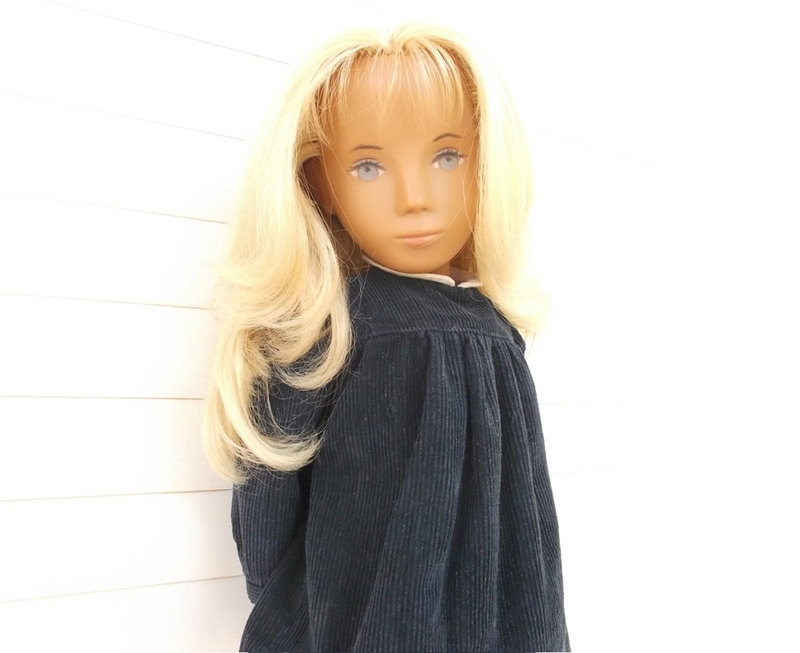 Her blue cord dress had laundered beautifully with no apparent fading, so I can only thank my lucky stars and the sweet young lady back in the UK for choosing me to adopt this utterly divine NP Sasha doll! 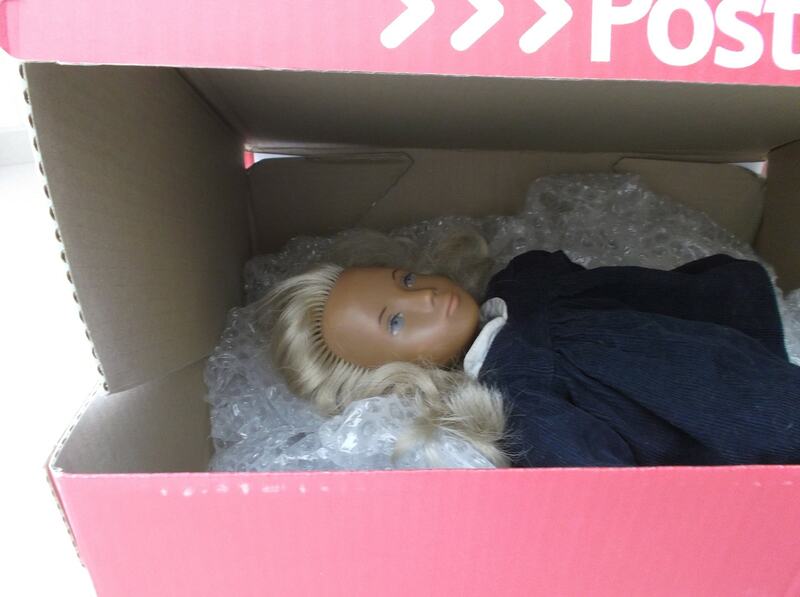 I am thrilled to say that one more NP Sasha doll from the UK has been found and back among us all? 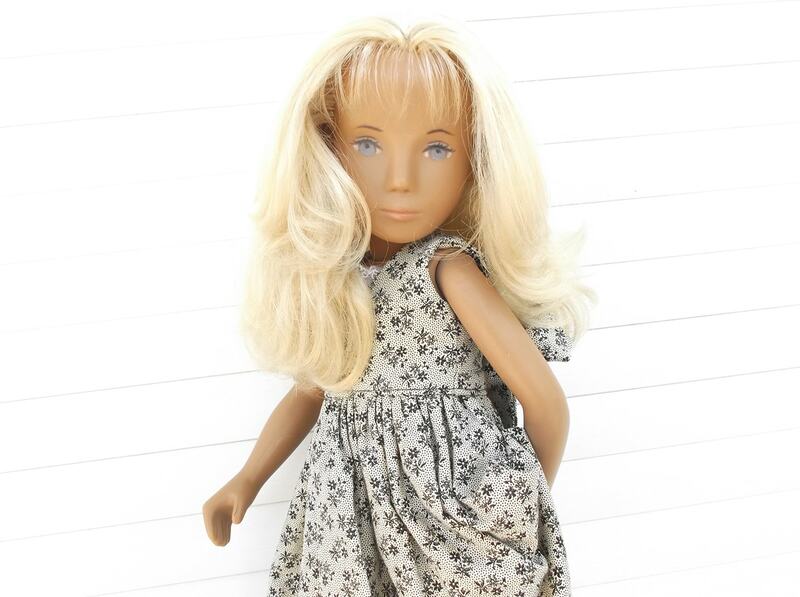 Your website and new doll are amazing! May I email you a question before ordering? 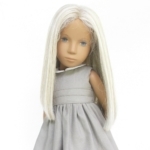 What is a Sasha Doll?